Upcoming Xbox One game puts you in the shoes of a toddler in a dark world.
" We are Krillbite Studio, an indie game developer based in Norway that made the horror game Among the Sleep, which we are now bringing to Xbox One! 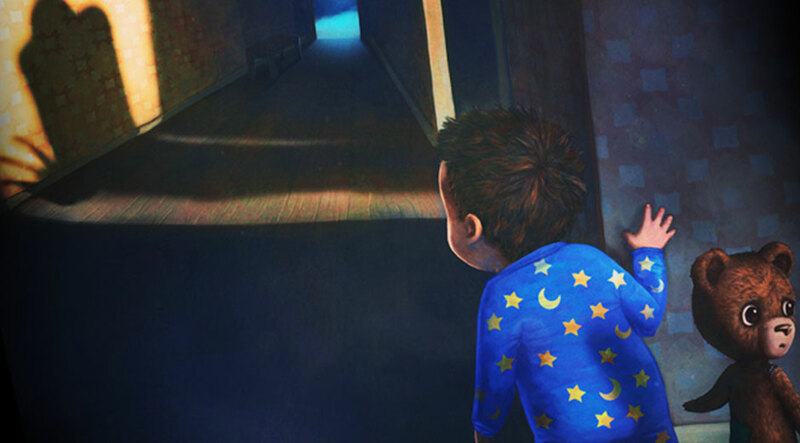 On June 3, you will be able to play as a two-year-old child in the creepy, dark world of Among the Sleep. You wake up one night and find the house all dark and empty. Empty, that is, until you find a talking teddy bear that tells you that something bad is going on. It is up to you to traverse the darkness, explore the nightmare-like places, and find out what is happening. Among the Sleep started as a school project for us, and after our degrees we decided to form a studio and continue the development. In 2013, we had a very successful Kickstarter to fund the game. We are now very happy about bringing the game to Xbox One. The Xbox One edition will include exclusive selectable pajamas for the toddler! This means you get to choose which pajamas to wear, with no download and no charge. You can dress the toddler in a unicorn motif – or maybe you want a bear? You can even dress in a very special Xbox One themed onesie! In Among the Sleep we wanted to make a horror game with something more than just a regular scary story. The game has received a lot of praise for its themes and design, and we are very grateful for all the love we have gotten from a lot of different people. I regret to admit that I'm not a huge Indie game fan. Yes I do like indie games but I'm normally not the type to venture off and play random games to see which ones are good. I typically go by word of mouth from friends who are... This one caught my eye and has me really interested. I have mixed feelings about horror games, I like the classics like Resident Evil 2 and Silent Hill but, don't really play too many of them now due to the themes being to rehashed. Among The Sleep has a slightly different concept, Honestly what is creepier than being a toddler in a creepy sleeping world? Definitely gonna check this one out.